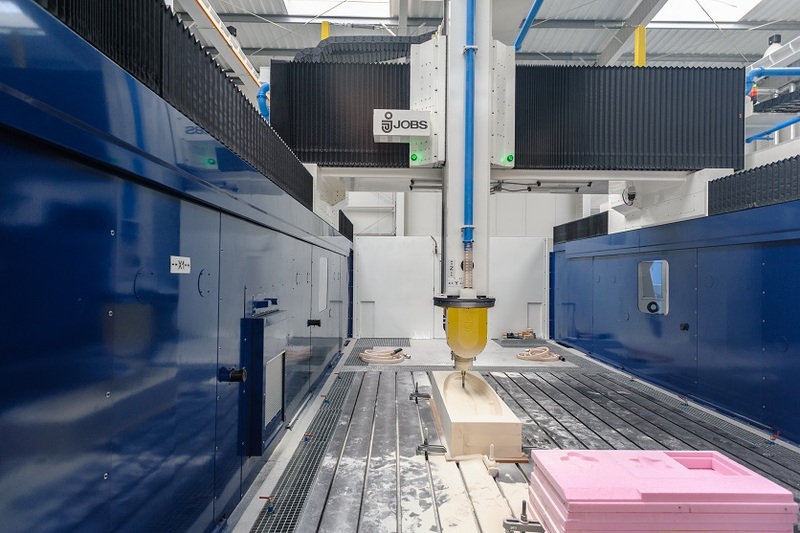 The Silesian Science and Technology Centre of the Aviation Industry uses its modern JOBS Jomach 146 5-axis machining centre to provide services, such as making models and moulds used in laminating, vacuum forming and casting in various industries (especially aviation and boatbuilding). This machine allows for fast, precise and repeatable machining of even the most complicated and complex of shapes, providing an almost unlimited ability to produce different elements (including moulds and prototypes). 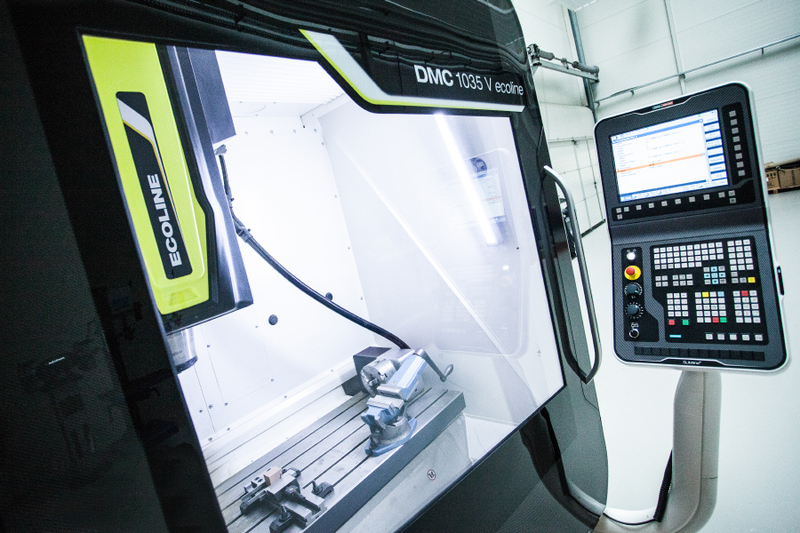 Use of the latest control system program allows us to increase the machining speed, to improve repeatability and to minimise the number of errors, thus achieving products with highly accurate dimensions. The machining centre uses a continuous head (the movement range is +/- 400° for axis C and 230° for axis A) equipped with a replaceable electrospindle which runs at a speed of 24000 RPM. Despite the large dimensions, the machine tool has a high travel speed of 32000 mm/min on each axis. A unique solution is the programmable and numerically controlled dust extraction collar. We also have a garage equipped amongst others with a numerically controlled 3-axis milling machine dedicated to steel and aluminum processing for the purpose of making equipment necessary for the bonding of composite structures, milling of molds, punches, swages, handles, sprockets etc. The working space of the table is X: 1035 mm Y: 560 mm and Z: 510 mm, and rotation speed of the spindle is 12 000 rev./min. Further information about what we offer in large-dimension machining services can be provided by our highly qualified personnel.